Feels great to be back with an outfit post, but before I jump in, I wanted to say thank you for all your wonderful support regarding opening up G&C to new editorial content. So what’s to come? Well firstly, I’ll be cutting back on my outfit photos and posting a few times a month, so much more realistic! Then I’ll be focusing on: beauty, travel, home decor, recipes and entertaining tips. I’m also looking to hire a photographer for collaborations, work with a design firm on a site rebrand in 2017 and make an honest effort to turn my hobby into a thriving business. Why the sudden zeal?! Honestly, my health has started to improve so much and I feel like I can start to dream again!! With that said, I’ll absolutely keep you guys posted and be sure to share what I learn along the way! Okay, on to the fashion, am I right?! 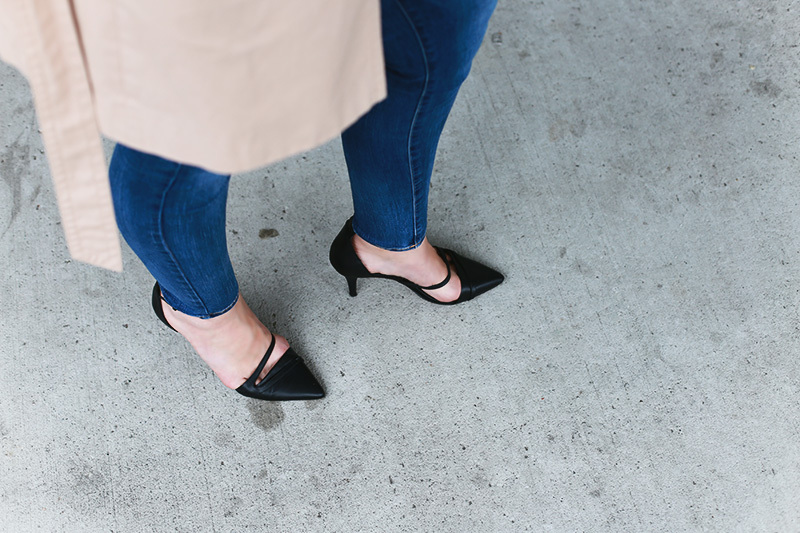 When it comes to style… I’ve been very low key and favouring simple looks. With the “simple” mantra in mind, one of my favourite additions is my Gap blouse, a true gem of a piece and works perfectly tucked into any skirt, or lovely with skinnies & cozy cardigan for a laid back weekend. I’m also on the lookout for a new cardigan and obsessed with this one. Cursing this sweater is sold out in my size. If you’re a large? There’s still a few left, you’re welcome! And I’m crossing my fingers this bag somehow ends up on clearance or magically drops out of the sky. Haha! So great to see you back with an outfit post, V – and thrilled to hear your health has been improving! You know I'm all for simple fashions all the time, and you can really never go wrong with the classics; this look has reminded me, yet again, that a trench coat is sorely missing from my closet and I really do need to fix that as soon as possible! I would never have thought of Gap as the place to go for one but yours is so cute and the perfect colour, too. Happy Tuesday, my friend! Superb outfit, looking so stylish and elegant! I'm loving your blouse and hat and am SUPER excited to read that your health has improved! You're such a wonderful person and you deserve all of the happiness and good health in this world. Love this casual styled look! Dressing for autumn is my fave. Good luck with the new business plans too, great your health is looking up! Gorgeous, classy outfit, I just adore hats on you!